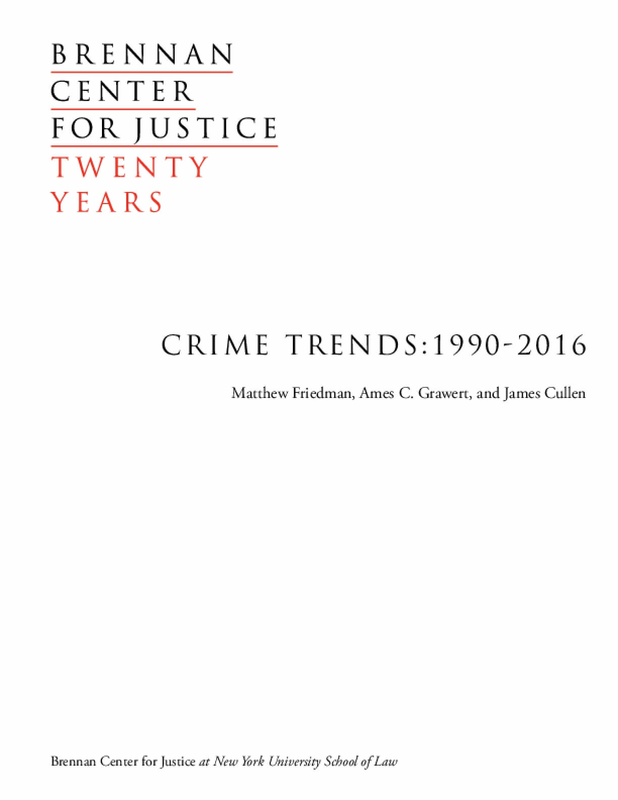 This report examines crime trends at the national and city level during the last quarter century. It covers the years 1990 through 2016, as crime rates peaked in 1991. It analyzes data from the Federal Bureau of Investigation and from police departments from the nation's 30 largest cities. Data for 2016 are estimated, as full year data was not available at the time of publication. This report concludes that although there are some troubling increases in crimes in specific cities, there is no evidence of a national crime wave.